If you see even one mosquito on your property during your service agreement, we will come back the same or next day and respray at no additional charge! We want you to be thrilled with your service! 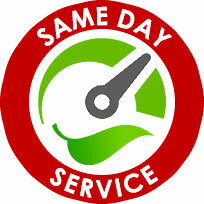 That’s why we offer a 100% Money Back Guarantee. 10% LESS than the Franchises. 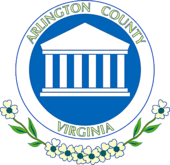 Mosquito Tek provides high quality mosquito control to companies and homeowners in Arlington, Annandale, Alexandria, Fairfax, Falls Church, Herndon, Reston, Vienna, and Springfield, as well as the surrounding areas of Arlington county. When it comes to being the best mosquito, flea, and tick extermination services in Northern Virginia, customers expect fast, safe and effective treatments that are competitively affordable. Both single spray and regular treatment plans are available with either conventional or organic insecticides using only top rated commercial grade insecticides which are long lasting, yet safe for your family, pets, and environment. 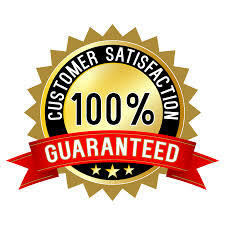 All treatment plans don’t require contracts and come with Product Guarantees and Money Back Service Guarantees. Although our main focus is on exterminating mosquitoes around your home or business, we also understand that your family’s safety is important to you which is why we use mosquito sprays that are both effective and safe. Our mosquito control treatments are available using either an organic blend of all natural ingredients that are environmentally safe, NOP compliant, and effective for up to 14 days, or if you’re faced with a heavy mosquito infestation we offer a conventional barrier spray that’s one of the most effective options available on the market and lasts up to 21 days. For our organic mosquito control, we use an all natural insecticide. Our organic insecticide is NOP compliant, environmentally safe, and can be used around your organic garden and plants, and while it effectively eliminates mosquitoes, it won’t harm bee populations or other useful types of insects. The organic option is also very popular for businesses such as restaurants, assisted care facilities, and daycare centers. For customers that are faced with severe mosquito infestations, we recommend going with the conventional barrier spray treatment. The insecticide we use for conventional mosquito control is the most effective product available on the market, and has been voted #1 for the last five years. It provides up to 21 days of protection. For customers that are planning outdoor special events, you can take advantage of our one-time mosquito treatments. This treatment will allow you and your guests to enjoy themselves without worrying about mosquitoes and other biting and flying insects. 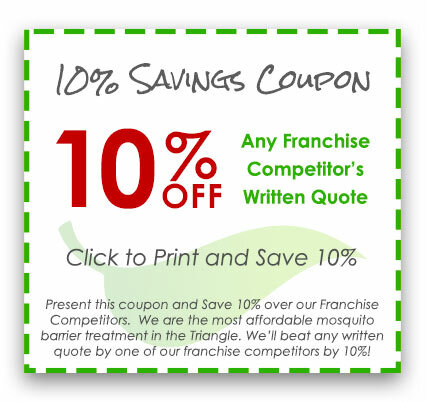 We guarantee that your event will be 100% mosquito free, or we will give you a full refund. Although our mosquito treatments provide some residual flea and tick extermination, you can also choose to add an optional full strength flea and tick control upgrade that will kill all the fleas and ticks in your yard, guaranteed. At Mosquito Tek, we want you to be protected from illnesses like Rocky Mountain spotted fever and Lyme disease and other illnesses carried by fleas and ticks, and this option will provide you peace of mind that your family and pets are protected from these pests. For customers that aren’t seeking mosquito control treatments but instead just want to eliminate the fleas and ticks, we offer this service as an individual standalone treatment plan. At Mosquito Tek, we pride ourselves on using the very best commercial grade mosquito insecticides and larvicides to keep your home and company free from mosquitoes. Our potent insecticides will eliminate adult mosquitoes, while our larvicides will treat the larvae and eggs to prevent them from growing into adults. This will give you truly effective mosquito control that lasts longer and reduces the chances of mosquitoes breeding rapidly. We have two effective and safe insecticide options you can choose from, and all natural organic spray, or a conventional barrier spray that lasts longer and has a stronger mosquito knockdown. For organic treatments we use the safest but most effective all natural commercial grade insecticide available, Essentria. Essentria offers a truly green solution for protecting your home or business from mosquitoes, and is safe to be used near water since it has no aquatic setback. This is the preferred choice for organic gardeners worldwide, and not only is it made from natural ingredients, but has a please aroma that make it a favorite for restaurants with outdoor dining. The Talstar line of commercial grade mosquito control insecticides is one of the most trusted and effective product lines on the market, which is why we can offer one of the best Product Guarantees around. The strong mosquito knockdown offers complete mosquito extermination even in the worst cases, and the long residuals from the Talstar produces will continue to work on mosquitoes, fleas and ticks for weeks after the initial treatment. Altosid is one of the most effective larvicides available, and will stop mosquitoes from growing into adults and being able to breed. This is effective for up to 30 days after the initial treatment. Using both the Altosid larvicides along with either of the barrier spray options insures that mosquitoes won’t have a chance to breed or survive.